"This recipe is easy and foolproof. It makes a very soft and tasty loaf of bread with a flaky crust." Place the water, sugar and yeast in the pan of the bread machine. Let the yeast dissolve and foam for 10 minutes. Add the oil, flour and salt to the yeast. Select Basic or White Bread setting, and press Start. 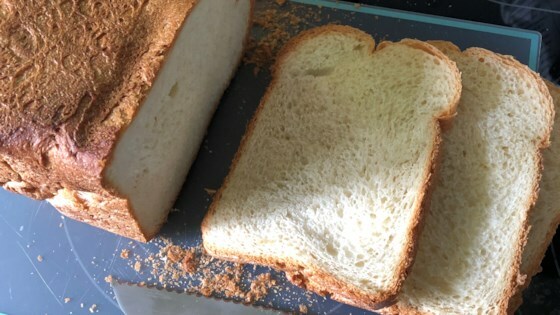 See how to make the perfect loaf of sandwich bread in your bread machine. Don't use canola oil, you have been warned.